Christmas and Easter, the two colossal pillars of religious feasts, depicted on stamps of Australia and Croatia have won the 2016 St. Gabriel Award for Best Religious Stamp in a tie that underscores the high level of the respective stamp designs. 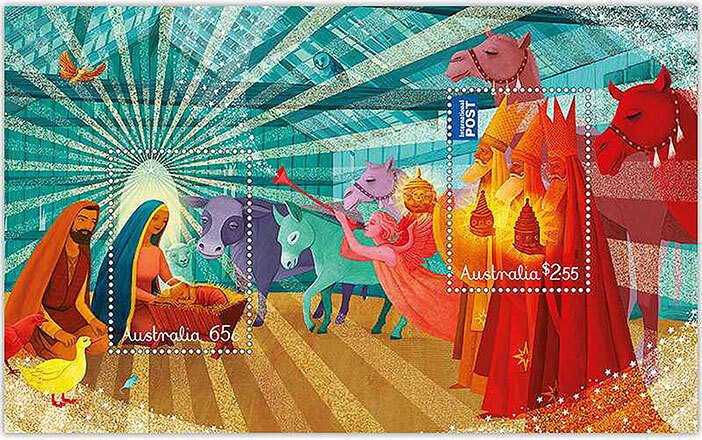 This year’s selection process was exciting and exacting: the final choice fell on Australia’s Christmas miniature sheet of 2015 designed by Sonia Kretschmar. It depicts a heartwarming and solemn Nativity greeted by the presence of the Magi whose arrival is announced by the sound of the trumpet of a scarlet angel. Words of appreciation for the recognition given to Australia’s Post were conveyed by Australian Ambassador Greg Frenk, who attended the ceremony. 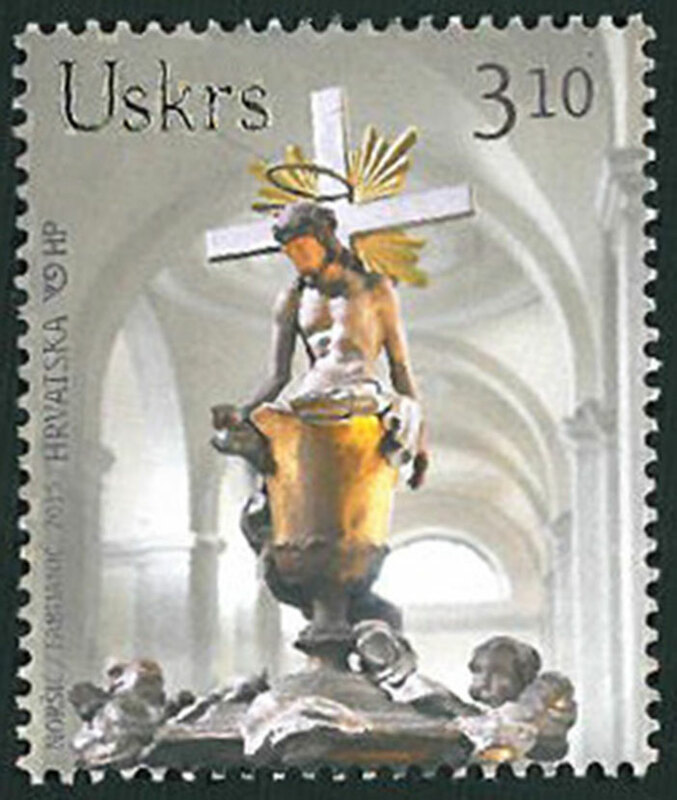 The Croatian stamp saluting Easter depicts the impressive chalice of the church of St. Euphemia at Rovinj; the design is a collaboration between photographer Damir Fabijanic and graphic designer Arijana Noršić. Crucifix and chalice interact, going beyond what many artists have created on the same subject, showing the moment when heaven and earth become one, as the body and blood of Christ in the Eucharist come to Earth to nourish the Church and its members. 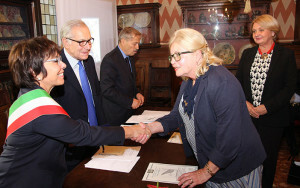 The diploma and the artistic St. Gabriel plaque by Enrico Manfrini were presented to Zelika Corak, chairperson of the artistic committee of the Croatian Post Office. She expressed delight at the highly coveted award and shared the moment of joy with Arijana Noršić and the Consul General of Croatia Nevenka Grdinic who also attended the ceremony. 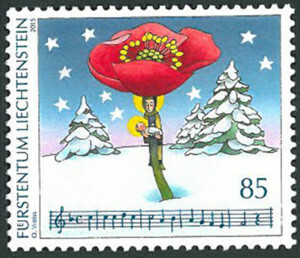 A Special Prize was bestowed on the Principality of Liechtenstein for the captivating Christimas stamp depicting a gentle composition by Oskar Weiss inspired by a 1500s canticle about a rose which, in his artistic perspective, has a stem formed by the Virgin Mary who, on a snowy and starry background, lovingly holds in her arms baby Jesus. 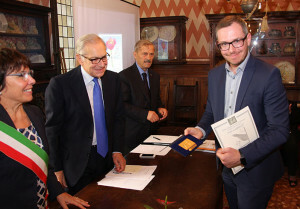 Stefan Erne, Head of the Philatelic Bureau of the Principality, stressed that “St. Gabriel” is an important recognition for the research that his Bureau invests in the choice and preparation of the stamp designs. The Awards ceremony took place on 2 October at the Fioroni Museum of Legnago near Verona; the Italian Post Office was present with a special souvenir postmark used on covers and postcards. 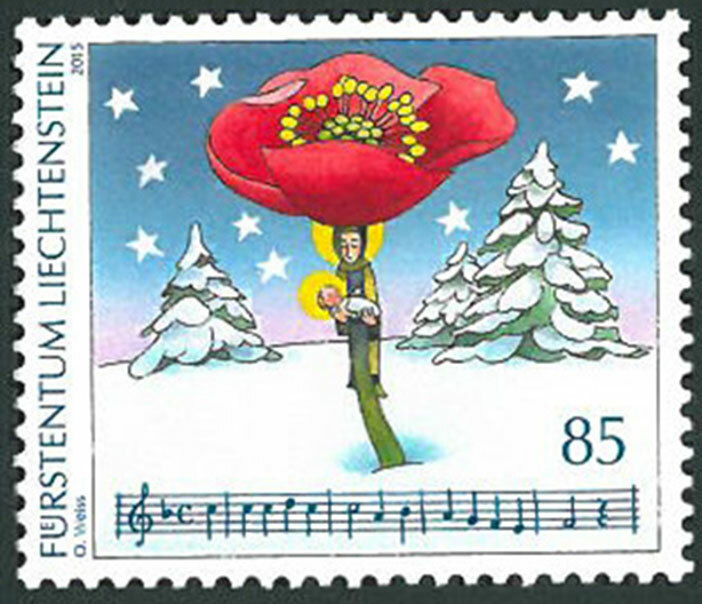 The pictorial postmark and the postcard feature the Annunciation based on artwork by Nicola Matteo Boe, an inmate of the high security ward at the Opera penitentiary, just outside Milan. Using the pencil, his only artistic tool, Boe centered his artwork on a huge wing of the Archangel Gabriel. 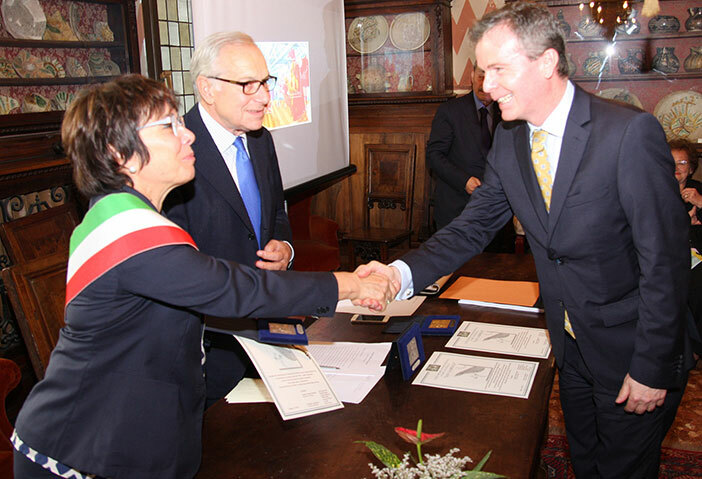 Named after the “Lord’s Postman” and launched in 1969 to select the best religious stamps of the year, the 2016 St. Gabriel Award was chaired by Gianni Fontana, former MP and Minister of Agriculture. This year the Jury comprised Cardinal Christoph Schönborn, archbishop of Vienna; Luigi Bressan, archbishop emeritus of Trento; Michalak Bogdan; Giorgio Migliavacca; Wilhem Remes; Annemarie Strasser; Ján Vallo; and Marco Ventura. 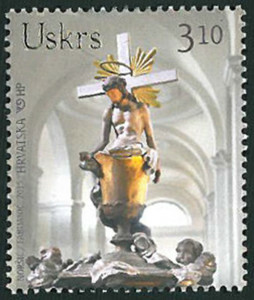 The St. Gabriel International Award for Best Religious Stamp is presented to postal authorities for stamp issues of intrinsic artistic value and great religious relevance. The Award consists of a beautiful sterling silver plaque depicting the Annunciation – a great work of art by sculptor Enrico Manfrini.